Some people might get the idea that the Church is against sports. Like it's some adversarial relationship. You can't love God and like sports. You can't be a good Christian and be a sports fan. But that's not true. In fact if you read the NT, it seems pretty obvious who liked sports? The apostle Paul-who wrote most of the books of the NT. Paul liked sports. He uses illustrations from boxing and wrestling and running. He talks about winning the race, winning the prize, winning the crown. He talks about disciplining your body and the danger of being disqualified. Paul spent 3 years in Ephesus where they had a amphitheater that held 100,000 and even hosted the Olympic games. Whether he himself was an athlete, we don't know. But it seems clear that Paul watched sports, enjoyed sports, and used illustrations from sports to teach theology. Paul liked sports. In fact, Paul especially liked racing. In this passage Paul talks about pressing toward the mark and reaching for the prize. We don't know whether Paul's referring here to foot racing or chariot racing. But what we do know is that if it's a foot race, we're not supposed to be jogging. We're supposed to be in an all-out sprint. If it's a chariot race, we're not supposed to be leisurely "clip-clopping" down the street like the royal couple on Friday morning after their wedding. We're supposed to be leaning forward like a charioteer. Whip in one hand. Reins in the other. Straining with intensity toward the goal. 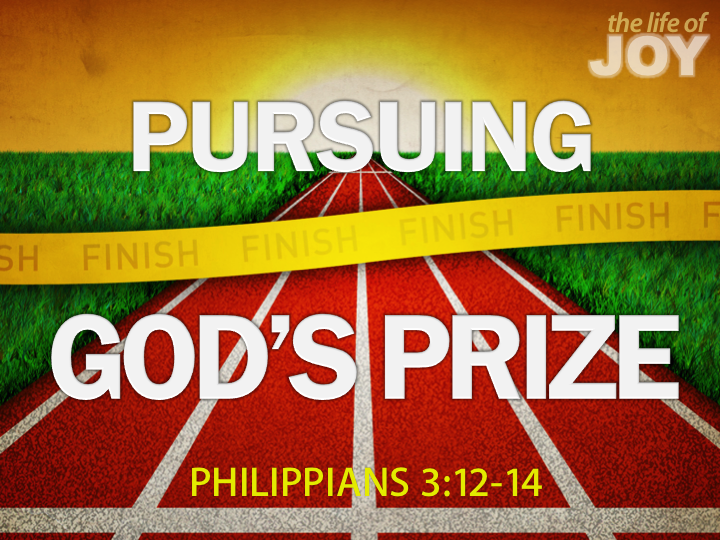 This evening we're going to look at ways we need to pursue God's prize?